Born: 10 November 1845, Novalsolka, Inkeri, Russia. Died: 19 October 1926, Olukonda, Ovamboland, Namibia. Martti (or Martin) Rautanen, Finnish missionary, completed his training at the mission school in Helsinki in 1867 and on 30 December 1868 arrived in Table Bay as one of the first group of nine missionaries of the Finnish Mission Society to be sent to Ovamboland, in the north of present Namibia. After being taught Herero at Otjimbingwe by Rhenish missionaries under Reverend C.H. Hahn* he started work in Ovamboland in July 1870. In September 1872 he married Anna F. Kleinschmidt, daughter of the Rhenish missionary at Rehoboth, with whom he had nine children. He founded a mission among the Ongandjera, but from 1873 to 1880 was stationed at Omandonga, the principal station in Ondonga territory. In June 1880 he moved to Olukonda (near Ondangwa), where he spent the rest of his life. A few years later he became head of the Finnish mission to Ovamboland and for many years acted as counsellor and personal physician to two successive chiefs. He studied Ovambo culture, contributed various articles on the subject to European journals, and built up a private ethnological collection. A chapter by him on "Die Ondonga (in Amboland)" was included in Rechtsverh�ltnisse von eingeborenen V�lkern in Afrika und Ozeanien (Berlin, 1903), edited by S.R. Steinmetz. 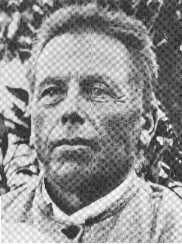 As a linguist (he knew Finnish, German, English, Dutch, Russian, Latin, Greek, Otjiherero, and Oshindonga) Rautanen spent many years on the translation of the New Testament into Oshindonga (published in 1908) and then continued with the translation of the Old Testament (completed in 1924). Some articles written by him in Oshindonga appeared in the mission journal Osondaha. During his many years in Ovamboland Rautanen met several pioneers of Namibia, including Frederick Green*, Axel W. Eriksson* and Dr Hans Schinz*. The latter spent about seven months in the neighbourhood of Olukonda during his visit to Namibia in 1884-1887 and received much assistance from Rautanen, who became his friend. Probably inspired by Schinz, Rautanen began collecting plants. His original specimens are housed in the herbarium of the University of Zurich; other collections are in the Botanical Museum, University of Helsinki, and the Albany Museum, Grahamstown. Two plant genera were named after him, Rautanenia and Neorautanenia, the latter by Schinz, who also commemorated him in the species Anthericum rautanenii, Barleria rautanenii, Crinum rautanenianum, Ornithogalum rautanenii, and Petalidium rautanenii. Rautanen spent the years 1891 to 1903 in Finland, but returned to his mission in 1904. He retired in 1920, having devoted his life to the people of Ovamboland, and died there six years later. In recognition of his work the University of Helsinki bestowed an honorary doctorate in theology on him in 1925. General directory of South Africa, 1890/1, 1903: Clerical directory. Z�llner, L. Nasate van die Rynse sendelinge in Suid-Afrika. Pretoria: Human Sciences Research Council, 1991.